For those of you who don't know what nanowrimo is, it stands for National Novel Writing Month. Which as it turns out is the month of November. I learned about Nanowrimo kind of late last year so I didn't take part in it. But I decided that this year I wanted, so that's what I'm doing. Basically you aim to write a novel in the month of November - 50,000 words. It breaks down to writing 1,667 words a day pretty much which some days seems like a lot more than other days. I decided - because I wasn't doing enough writing as it was with writing a novel in a month - that I wanted to document how each day goes. I know a good amount of people do daily vlogging to show their writing days and talk about how things are going, but I don't vlog so here's where it's going to be. I was really nervous to start writing but also really excited. It had been a long time since I had really sat down and did some serious writing. I feel like I have been in a writer's block for so long that I just haven't been writing. I write here but creative writing - despite how much I have wanted to - just hasn't happened. So I was excited to have a chance to really write and have a goal I'm working toward. But also nervous that I was going to fail. But I decided to just go for it because if I did fail then at least I tried and I know what to do differently next year. So while the kids were eating lunch I started writing and the words just kept coming. Of course it's not the best situation to write in but I got quite a bit written. By the time Addison was at school and Connor was down napping I was way past my goal of 1,667 words and just kept going. It wasn't going to hurt to have a jump on extra words or to just keep writing. Although I wasn't as excited to jump right in today, it was mostly because the hubs took the day off and I didn't want to spend all my time writing. But I did want to write and I did want to keep going on my story. I had a jump on my word count yesterday which was great. But I wanted to keep getting a jump on my words so I could take a day off I needed to in the future or not have to worry about getting it in on Thanksgiving. So I sat down during nap time and did a bit of writing. 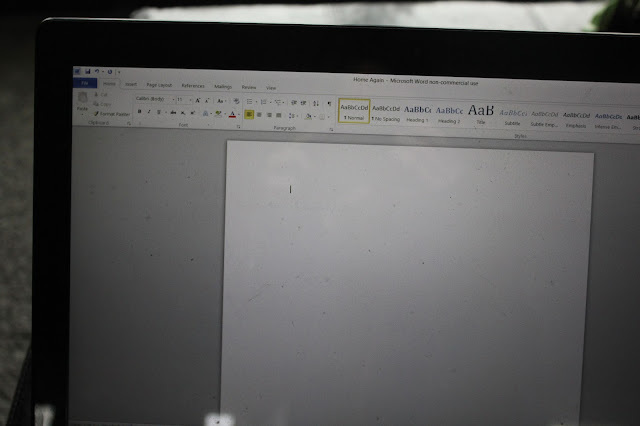 I was worried since I wasn't as inspired and as excited as the first day that I would struggle a lot, but the words just came down on the paper (or screen technically). I kept forming my ideas and thoughts and continued to try to forget about making it perfect and just write. And the words just coming. I didn't start doing some writing until a little later in the day mostly because I was just tired and not feeling great. But I picked up my computer and started writing. The words definitely weren't coming as quickly today and I hadn't met my at least 1,667 word goal for the day before I put my computer down again. I knew I was ahead of the game and I didn't need to write that many but I wanted to stay ahead and I wanted to have a day or so bluffer in case I did have a bad day (or Thanksgiving) and I just didn't feel like writing. But I decided I wasn't going to worry about writing everything at that moment when I just wasn't feeling it. 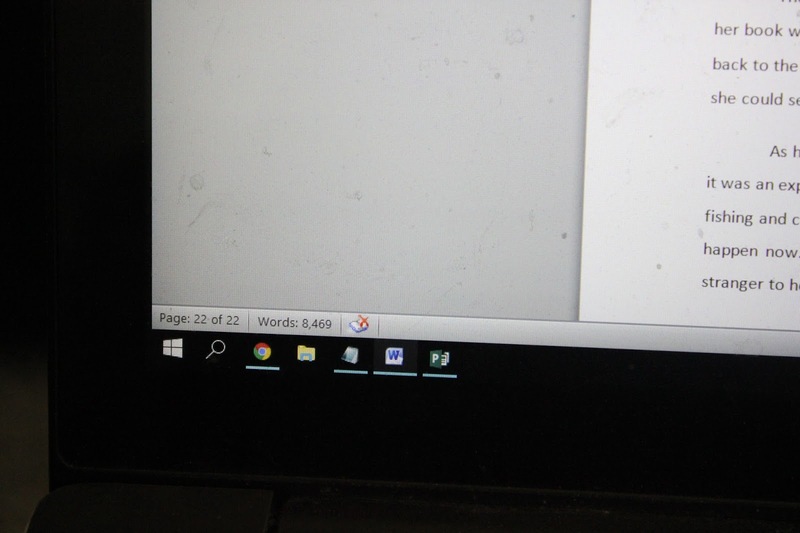 Turned out I felt like doing a little more writing that evening and easily got my 1,667 words in. I actually only decided to be done writing when I was feel a little blocked and wasn't sure where I wanted to go from there with my story. I thought that maybe getting a fresh look the day would be the way to go instead of accidentally writing myself into a corner in exhaustion. Not going to lie, today I really wasn't feeling it. I was feeling a bit lost in my writing and not sure how to get from point A to point B. But I wanted to get some writing done today so even later than yesterday I sat down and did some writing. The words were definitely not coming as quickly as I had the first two days, which is slightly discouraging since I don't want to be losing my steam so early. But the only thing to do was to keep pushing through and get some words on the page! So far I'm feeling a bit discouraged by the fact that the last three days I'm already feeling a bit blocked! But I'm trying to keep writing everyday at least something. Yesterday I didn't write as much as I had been but I wrote. Today my goal was to make sure I was at least on target. I got just a little over that today but I wrote and I'm at least right where I'm supposed to be. So yay to that! It was just a struggle again to write but another dreary day and I just wanted to nap so I might be lucky I did anything at all! So there you have it. I'm just slightly over where I need to be on day five so not quite as ahead as I wanted to be but that's okay. Maybe I can gain some ground this week since apparently writing during the weekend is tough for me. Comment below: If you are doing Nanowrimo, how is it going for you?